I'm a little obsessed with Halloween! I love dreaming up Halloween oddities. I wanted a vase filler... something you could add to a large apothecary jar which was spooky but not gruesome. 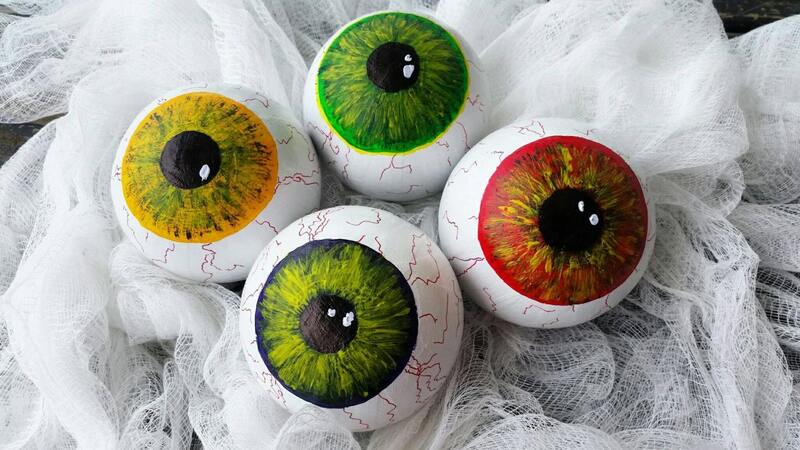 Enter paint, papermache, and imagination! 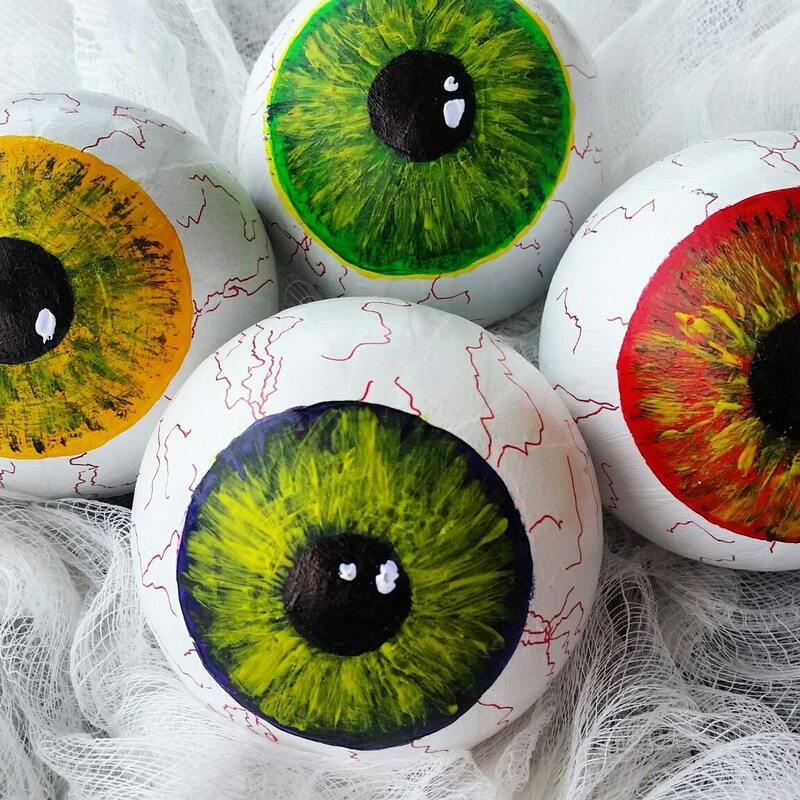 This four piece set of paper mache eyeballs comes in two different sizes. 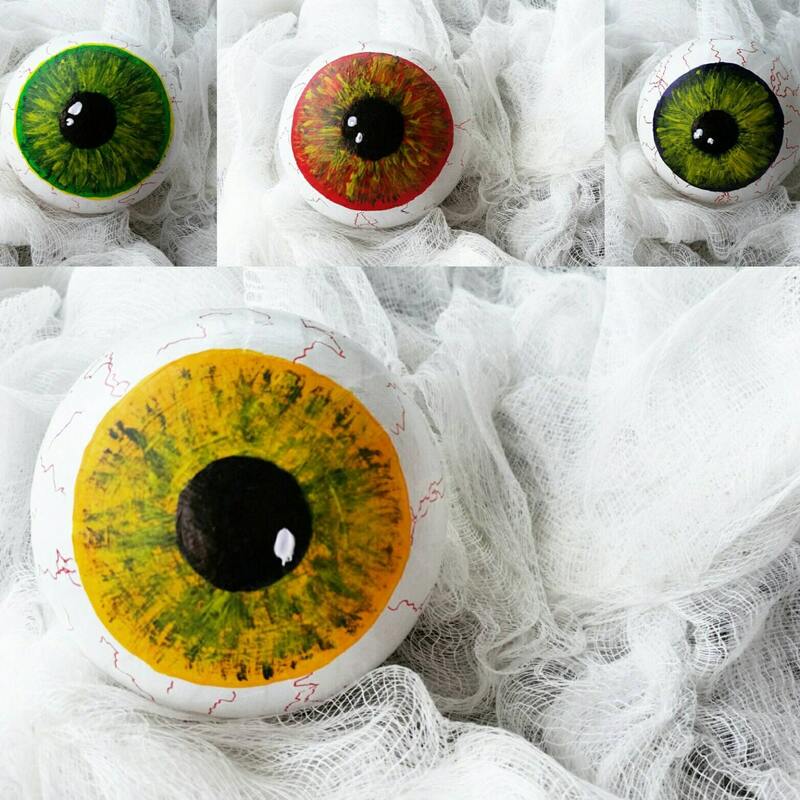 You can choose from the set of 3 inch diameter spheres the set of 2.5 inch diameter spheres. 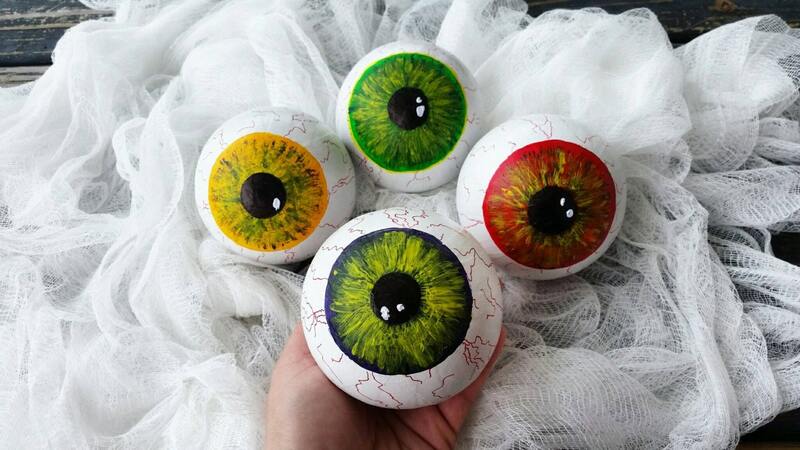 Each set has four different color irises. 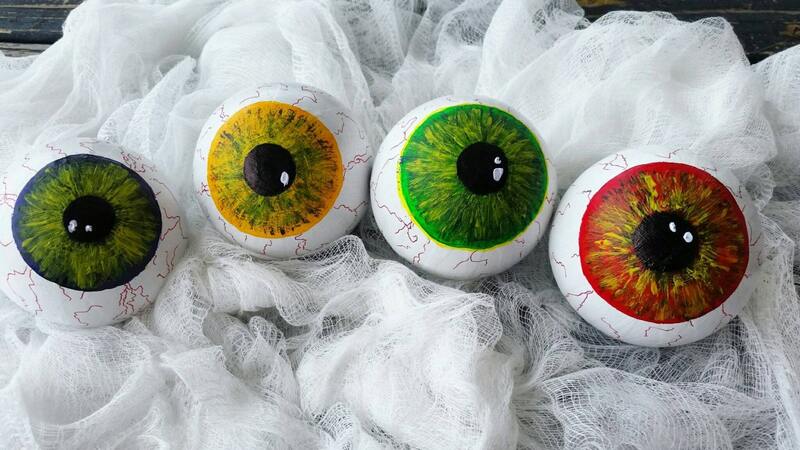 You have red, yellow, green, and purple with various color highlights and each eyeball appears to be bloodshot with tiny, red lines.